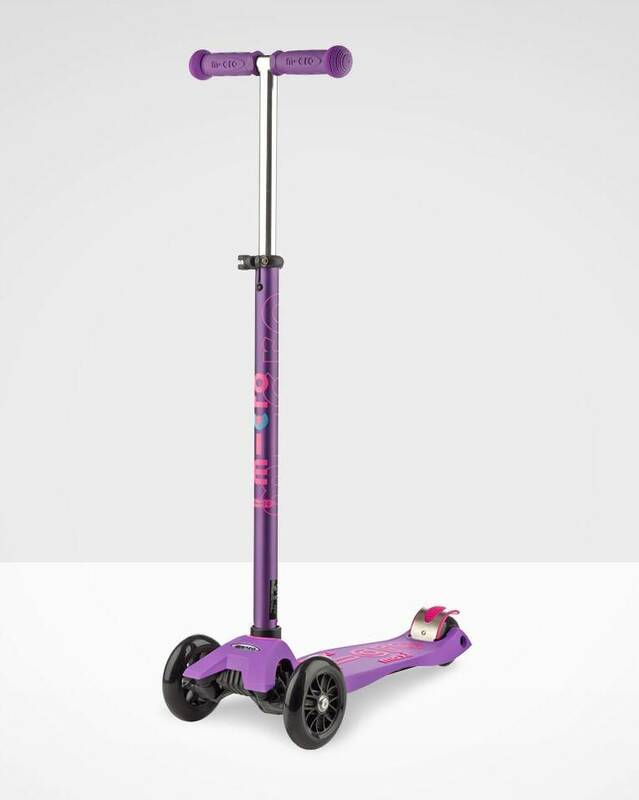 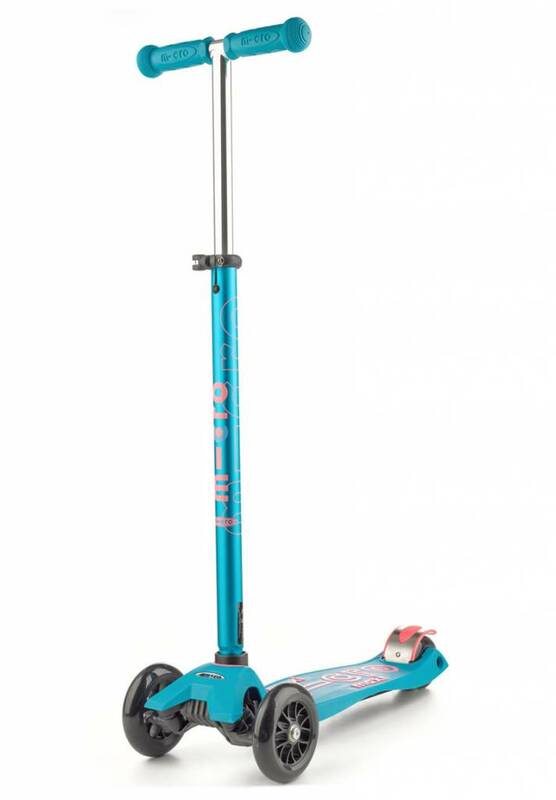 Kids love how the Maxi Deluxe scooter rides. 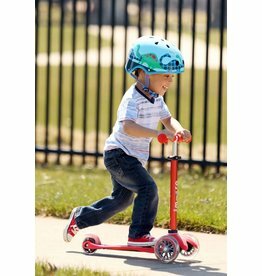 Parents love the years of fun and exercise it provides, making it one of the best value recreational products for children. 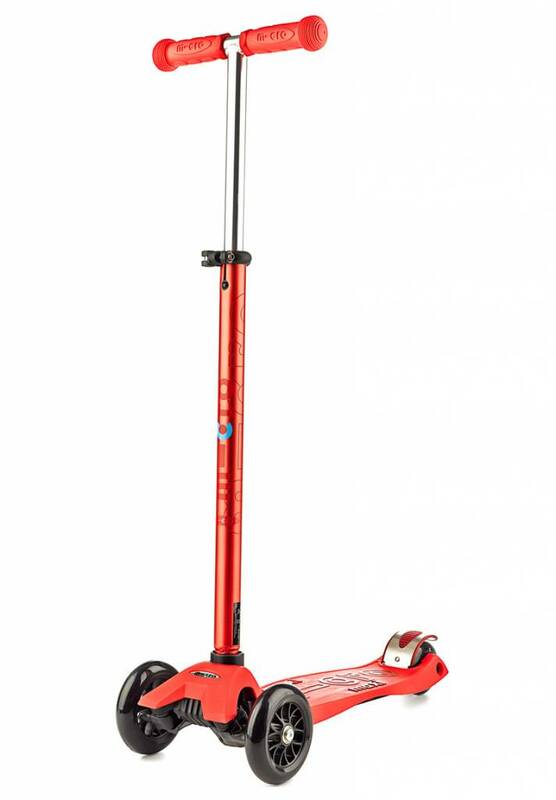 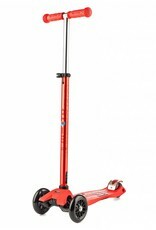 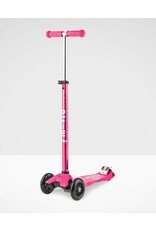 Its exceptionally strong construction is flexible and light weight - a great cruising scooter for urban and suburban neighborhoods alike. 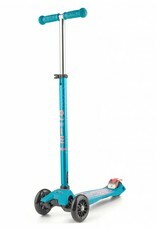 The smooth gliding Deluxe Maxi has a curving and carving action that allows kids to surf the sidewalk like a skateboard, with the handlebar providing greater control and maneuverability. Kids use their body weight and handlebar to lean into a turn, resulting in smooth, safe turns. 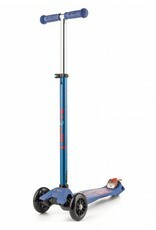 The Deluxe Maxi has the smoothest, quietest ride available thanks to high quality polyurethane wheels and a flexible fiberglass reinforced deck, which together absorb bumps in the sidewalk. 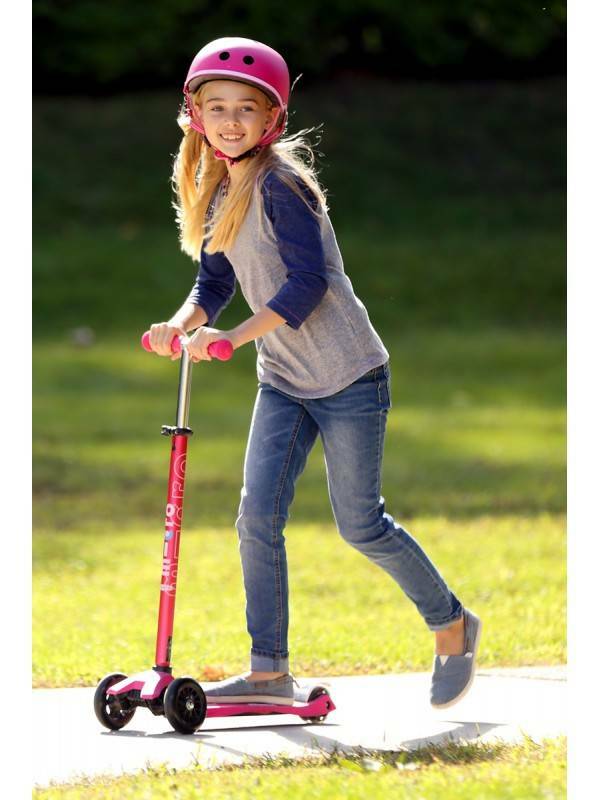 For safety, it is highly recommended that all kids wear helmets and knee pads when riding.